If you are unable to send email using your Web24 server as outgoing mail sever. This is possible if your ISP is blocking the default SMTP port (25) used to send emails. 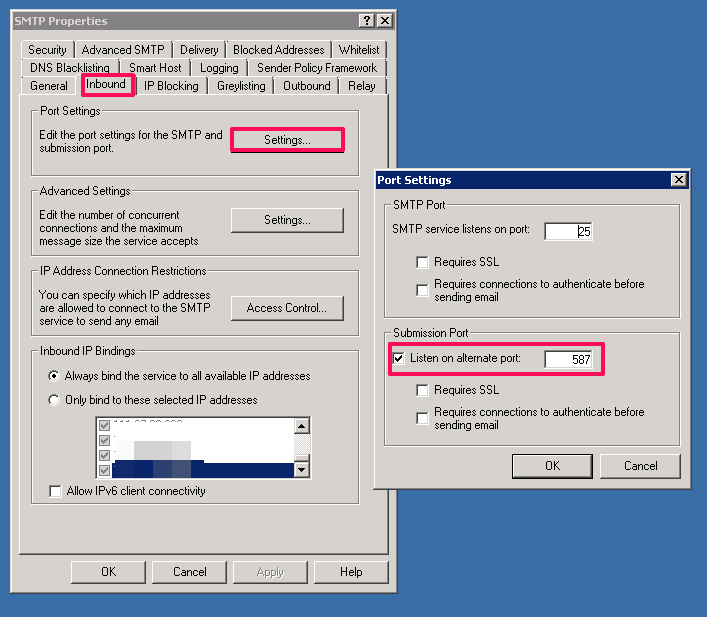 This issue can be bypassed by enabling Alternate SMTP port (587) on your mail server configuration. Login to the server via Remote Desktop Connection. Click on Servers > localhost > Services > Connectors. Right click on the SMTP connector and click on Properties. Enable the check box Listen on alternate port under Submission port and click OK.
Once the alternate port is enable, you have to configure your email client to use the port. 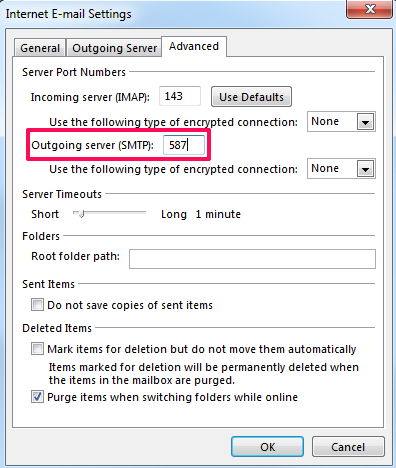 In Outlook this can be configured at: Account Settings > More Settings > Advanced, by changing the Outgoing server (SMTP) port to 587.